Peter Chase removed superstar Virat Kohli for a second-ball duck on his way to T20i best figures at Malahide yesterday but as expected India proved too strong for Ireland and eased to a 76-run victory in the first of a two-match series. A hammering looked on the cards as the visitors raced to 160-0 after being asked to bat but the Boys in Green fought back and restricted India to 208-5, with local hero Chase claiming an impressive 4-35 from his four overs. 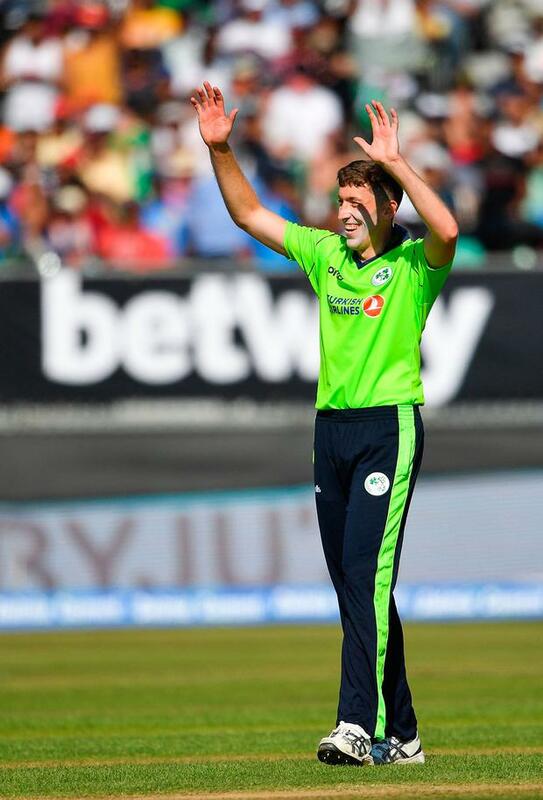 Ireland's best hope of mounting a challenge disappeared in the second over of the reply when Paul Stirling holed out for one, but a first T20i half-century from James Shannon briefly cheered a massive crowd before the home side were pegged back and restricted to 132-9. "There were some positives in there but it was disappointing to lose by that many," captain Gary Wilson said. Chase had to wait until the 18th over for his first success but then laid waste to the Indian middle order with three wickets in four balls during the last over, including skipper MS Dhoni and Kohli. Kevin O'Brien broke the open stand, thanks to a catch at mid-off by Stuart Thompson, then held on to a chance at square leg himself to give Chase his first wicket. Dhoni fell to a second catch by Thompson for 11, including a massive six, and Chase followed up next ball to bowl Rohit Sharma for 97 from 61 balls, with the opener looking to go to his century with a sixth maximum. Sharma's dismissal brought in Kohli but after complaining that his first ball should have been signalled wide, he swung his next into Thompson's hands at deep mid-wicket. There was little hope of Ireland getting close to a target of more than 10 an over, but Shannon took advantage of early dropped catches to lift four sixes and stroke five fours before he was lbw for a promising 60, from 35 balls. O'Brien sent his third ball straight for six but was caught at long off two deliveries later trying to repeat the dose and when skipper Wilson charged and missed, to give opposite number Dhoni the simplest of stumpings, the game was up. Meanwhile, Pembroke left-arm seamer Josh Little has been forced to withdraw from the Ireland squad with an injury and has been replaced by David Delany.